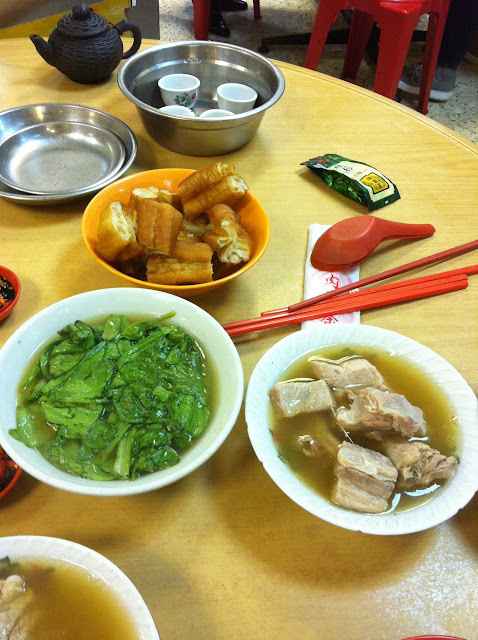 This Bak Kut Teh is most certainly off the beaten track. I love places in the middle of no where- they just have some sort of novelty to me. Ya Hwa Bak Kut Teh is no ‘hidden gem’ I guess since it’s pretty famous within the ‘bak kut teh community’. Not too impressed with their offerings cuz the soup base was too salty and “overused”… veggies dunked in soup, mee sua in soup, the soup itself. Suffice to say the friend and I emerged a little bloated. I did get the depth of flavour tho and the amount of white pepper was just right. Anyway with a you tiao+ bak kut teh soup combi you can’t go very wrong even if the soup is a little salty. It opens till late so it makes for a good supper spot. Free parking at the front and coupon around the area. Sun: 11:00 -22:00, Tue & Thu: 11:00 – 02:00, Wed, Fri & Sat: 11:00 – 03:00.